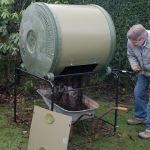 Thanks to the ComposTumbler’s unique design, it’s quick and easy to create high-quality fertiliser from your kitchen and garden waste. Simply collect a variety of organic waste materials from your property and garden. 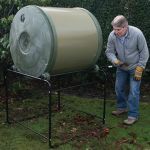 Put them into your composter, close the door, and immediately give the tumbler 5 turns. On the 4 to 6 weeks, open the door and tumble out your finished compost. 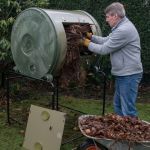 You can add almost any organic material to your compost, and in small quantities you’re unlikely to upset the balance of ‘greens’ and ‘browns’. Healthier soil, better plants and contributing to a natural environment are all key benefits of composting.